What else can you add to your insurance? 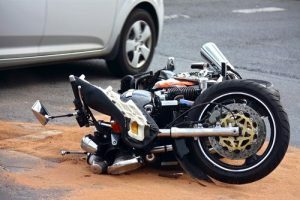 If you’re a keen motorbiker, you are probably already familiar with the dangers of being on the road, given that a motorcycle can be a considerably less safe environment than a car, due to the increased exposure. We agree spending money on insurance is probably the least exciting investment you’re required to make on account of your vehicle, but it’s nonetheless extremely important since it can prove to be helpful in case of an accident. In our guide below we’re trying to show you what’s essential to know about motorcycle insurance, what are the specifics and what it can be useful for, all in a short summary that will spare you from having to do a lot of research. It may seem as if insurance is just an inconvenience that the government makes you pay when you’re registering your vehicle, but in fact, it’s a lot more crucial. For example, in case you have an accident, and you’re not severely wounded but you wreck your vehicle, aside from having to pay a fine, you will have to support the costs of repairing your motorcycle, which might be just a little too much to ask in a short period and you’ll be left off the road for an extended amount of time. You can avoid that by having the right insurance, because this way you will receive some money that will help you get your vehicle in good shape and be back on the road in no time, that is of course if you’re in good health condition. Do not try to get going without at least the minimum coverage, because it’s illegal and if you get caught you’ll get a fine that isn’t worth the stress and the costs. It’s better to be safe than sorry. If you want to get out of paying insurance as quickly as possible, you might be tempted to immediately go for the cheapest option and be done with it. However, we suggest you think twice about it, because there might be unexpected benefits in paying a more expensive but more reliable one. The minimum coverage will automatically go to the other person involved in the accident in case you’re the one that’s found guilty, which will again leave you with having to pay for the repairs that your motorcycle needs, which you might not afford at that point. Also, the actual property damage is a lot less money than the bodily injury coverage, which is used in case one or more persons are hurt in the accident. If there are no victims, you might be left with close to no money for property damage. It’s not even worth mentioning that you should not expect a service complete with a motorcycle carrier to pick you and your vehicle up if you’ve only registered for the cheapest insurance. Neither the bodily injury coverage is enough to support actual medical care in case of aggravated injuries since it rarely pays more than $25,000. If you don’t want to deal with these problems, you might want to consider buying a more expensive insurance policy, which will have you covered in case something happens. 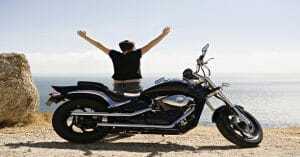 There is some good news after all, in the sense that motorcycle insurance is always less expensive than car insurance, or any other vehicles really, mostly because the costs of potential repairs would also be cheaper. Furthermore, another reason for this price difference is the fact that most of the times the motorcyclists are not found guilty for the accident since they’re a lot more vulnerable than other vehicle drivers and the motorcycle itself can’t do much damage. What we’re trying to say is this — do not imagine you’ll have to pay an enormous amount of money just because you want to be able to rely on your policy for property repairs or health care in case you have an accident, because it’s not going to be as expensive as you think. Be careful though, because this only applies to liability insurance, which means that if you cause the accident, you need to have comprehension and collision coverage, which are far more expensive. In some cases, it may go as far as equaling the price of the bike itself, especially if you’re in the 20 something age group. Don’t forget that your body stands to be damaged just as much as the bike, in case you are involved in an accident. In some situations, your health insurance might cover the costs of treatment in case you need it, and even compensate for the time you’ll be away from work, recovering. This is why you should remember that health insurance is an essential part of preparing for the riding season and you should under no circumstances skip this stage. The bodily injury liability insurance can help you pay for the damages you’ve brought to the people you’ve injured or killed in an accident. It’s important to have it because these conditions apply even if you’re only partially at fault, and the costs might exceed your expectations and your resources. Once you’re done worrying about your health and your motorcycle, you can begin to consider the other accessories that you’ve equipped your vehicle with. For example, you can get coverage for custom paint, wheels or specific safety equipment, or even for a trailer that you can use to transport certain items. 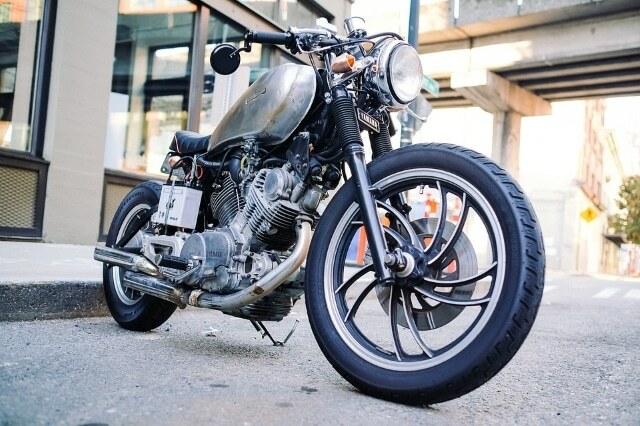 Other types of insurance can apply to a motorcycle. If you want to make sure your provider will be there to help if your vehicle breaks down on the side of the road, make sure you opt for roadside assistance. Another useful trick might be getting rental coverage, which can pay for the costs of renting another vehicle to continue your journey after an accident if your motorcycle is in service and you need a replacement for some urgent business.